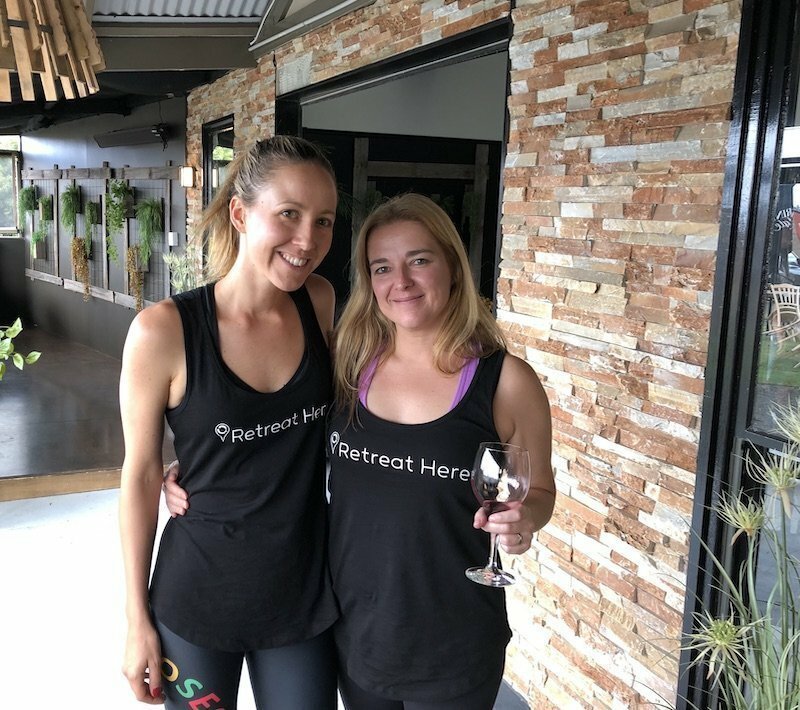 We’ve scouted long and hard to find the perfect venue for our Wine and Yoga retreat in Italy. 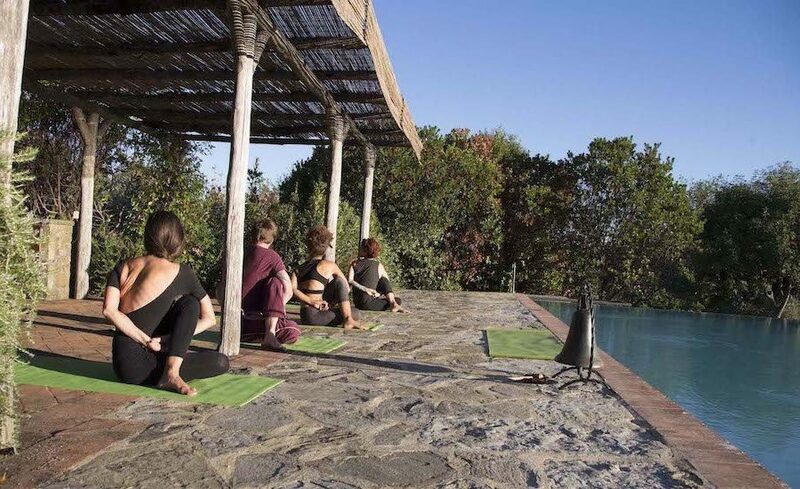 Following our stay at Maraviglia we knew we’d found THE place to organise our Tuscany Yoga retreat. We invite you to practice Yoga with us in a stunning location, explore Italy, and pamper your taste buds with heavenly foods and local wines. 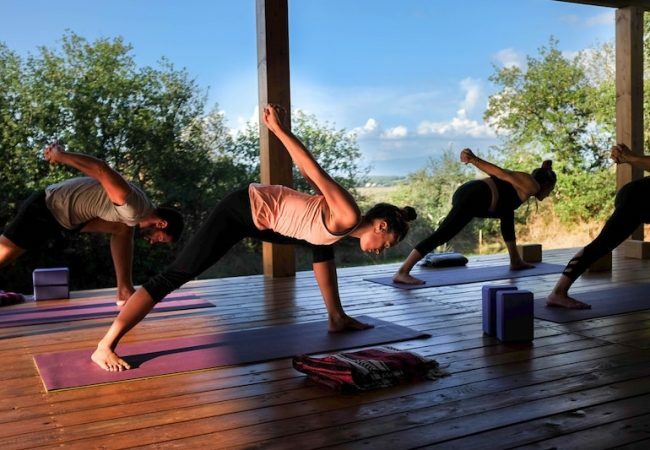 Our all-inclusive 7-night Wine and Yoga retreat in Tuscany will allow you to rejuvenate in the rolling hills of Italy’s most beautiful region. Nourishing and organic meals combined with local wines and great excursions are guaranteed to soothe your senses. 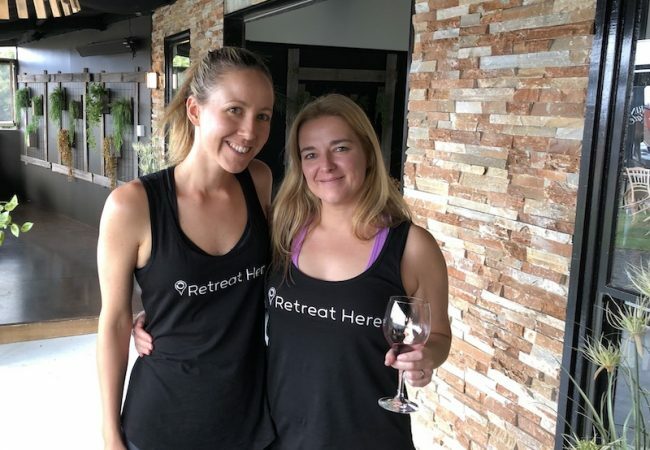 Claire March will be your co-host and yoga teacher for this Italian wine and yoga retreat. 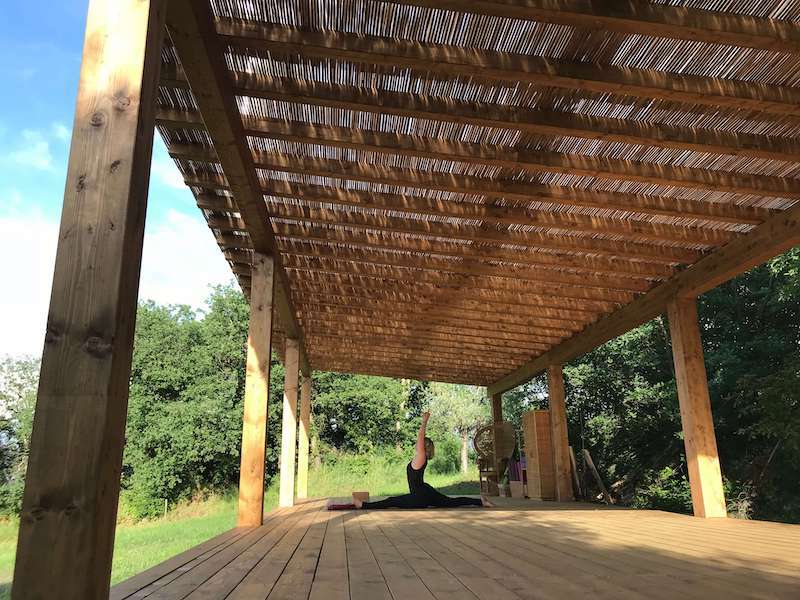 She is a qualified yogi and has been practising for over 10 years. 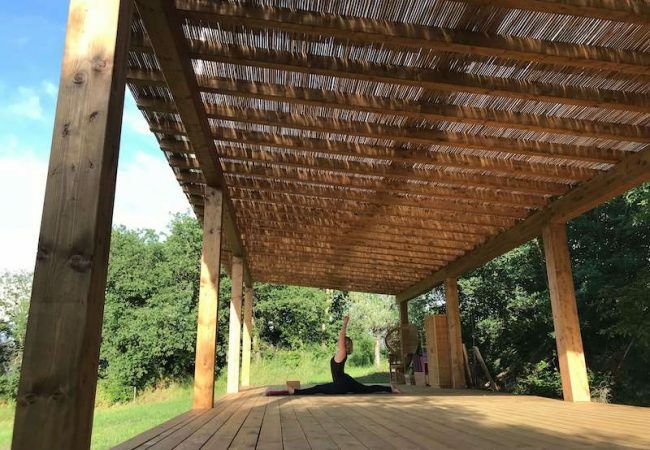 Her classes are both relaxed and dynamic, and the perfect mix between asanas (postures), pranayama (breath regulation) and meditation. She will provide adjustments for all levels, and anyone from beginner to advanced level is welcome. 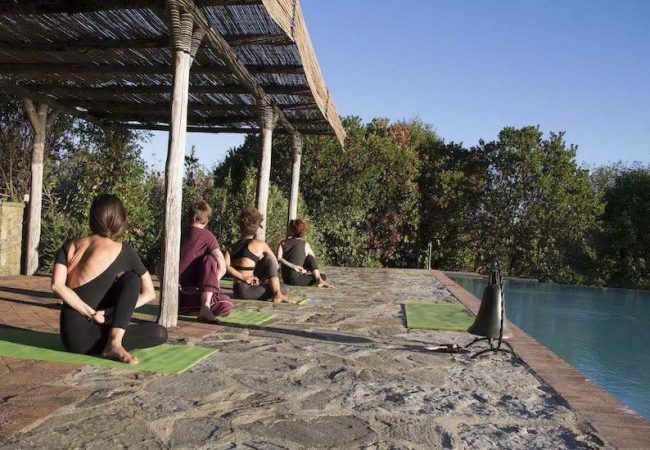 Sabijn Linssen (Sab) is the founder of Retreat Here, and co-coordinator for this Yoga retreat in Tuscany. 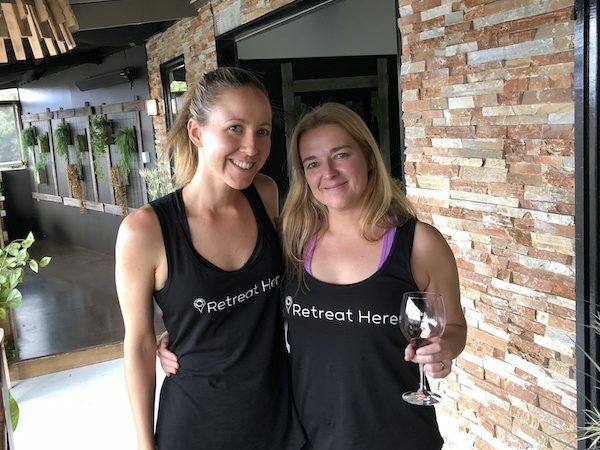 She has worked in the travel and event industry for more than 15 years and is currently doing her own Yoga Teacher Training. 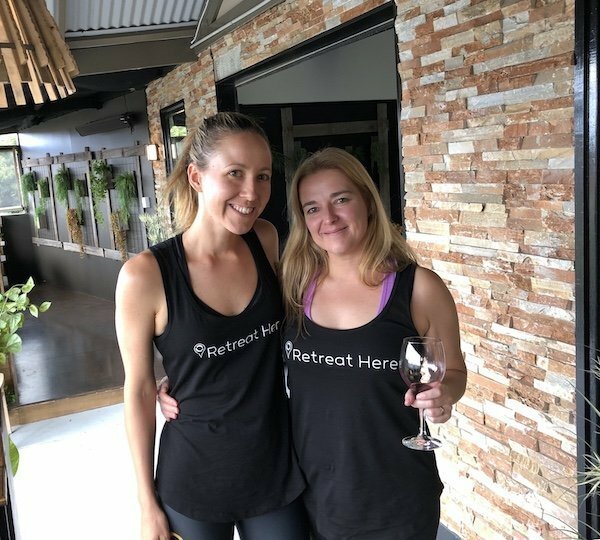 Claire and Sab are both massive advocates of a balanced lifestyle which is why they joined forces on these Yoga and Wine retreats. Francesco Piattelli is the owner of the retreat venue. He will be your guide and share his infinite knowledge of Tuscany with you during the excursions. 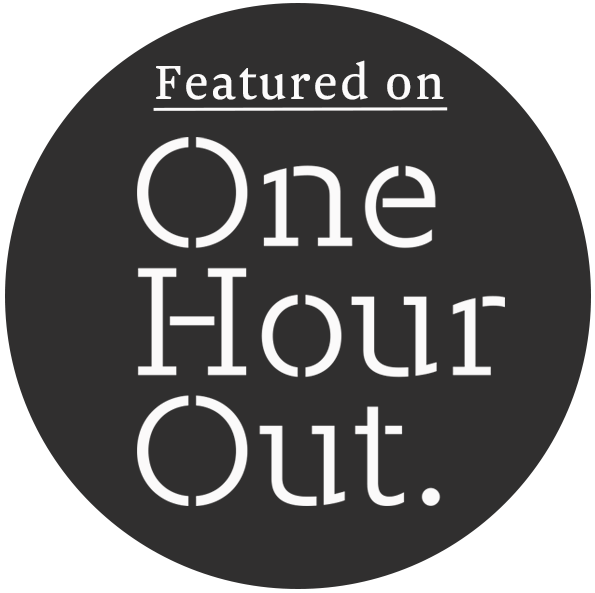 He is a business owner in New York, and spends his time between Italy and the US. Living in the Big Apple, he noticed a need to escape the hectic city lifestyle. This desire lead him back to his hometown where he transformed his family home into a stunning retreat venue. 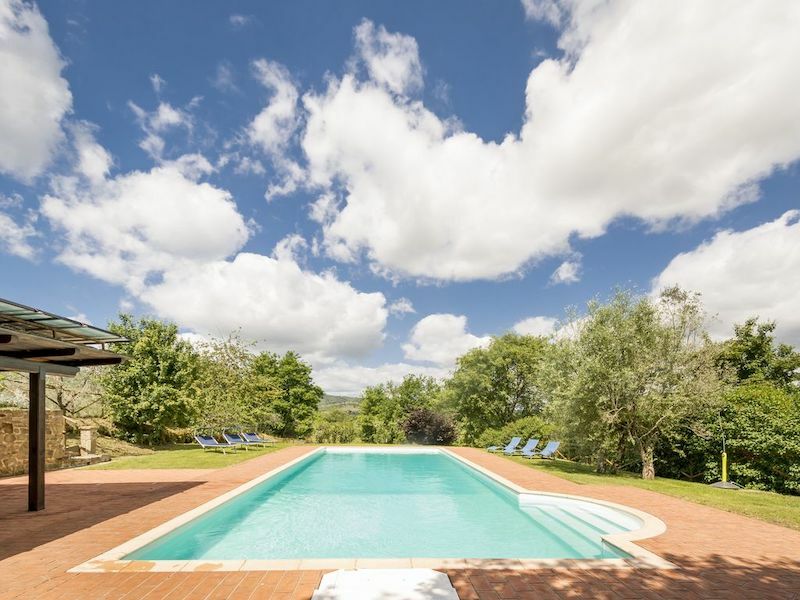 The retreat is spread over two traditional Italian villas, located near the charming village of Monte San Savino, province of Arezzo, Italy. Magnificent views over the surrounding countryside during the day, star-filled sky and rejuvenating silence during the night. 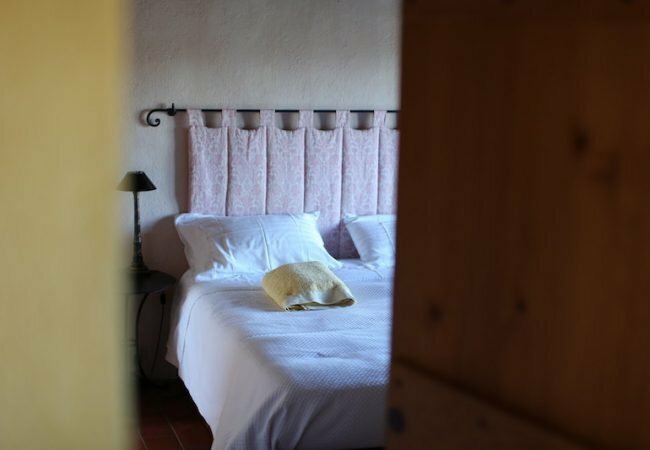 We’ll spend most of our time at the main villa, Maraviglia, a peaceful and serene country house immersed in an olive grove. 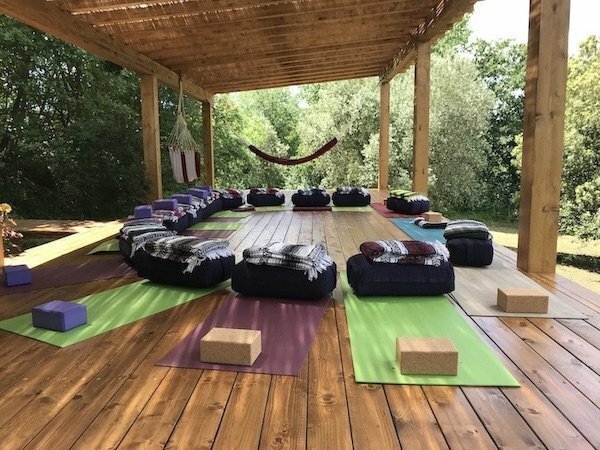 Surrounded by oak trees, the venue provides a newly built yoga deck, infinity pool with loungers, al-fresco dining area, living room and plenty of spaces to read a good book. The neighbouring venue, Il Capoverso, is a 2-min walk away. 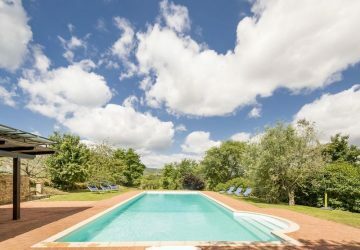 This beautiful property consists of 3 separate apartments with a selection of single and twin rooms. The lush green garden comes with a large pool with sun loungers. 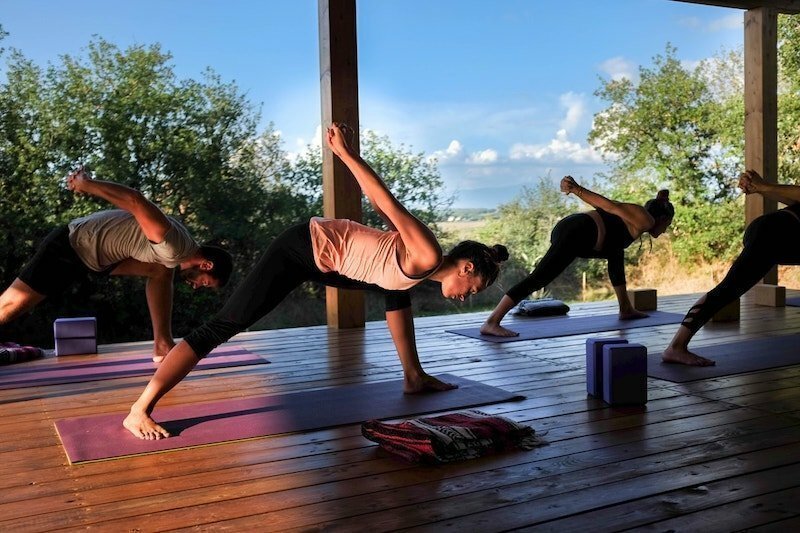 Yoga retreat guests have the option to book a variety of Single, Twin or Triple rooms. Private Double Room for single use with private ensuite bathroom, with shower or bath and toilet. Private Double Room for single use with shared bathroom (share with one or two others). 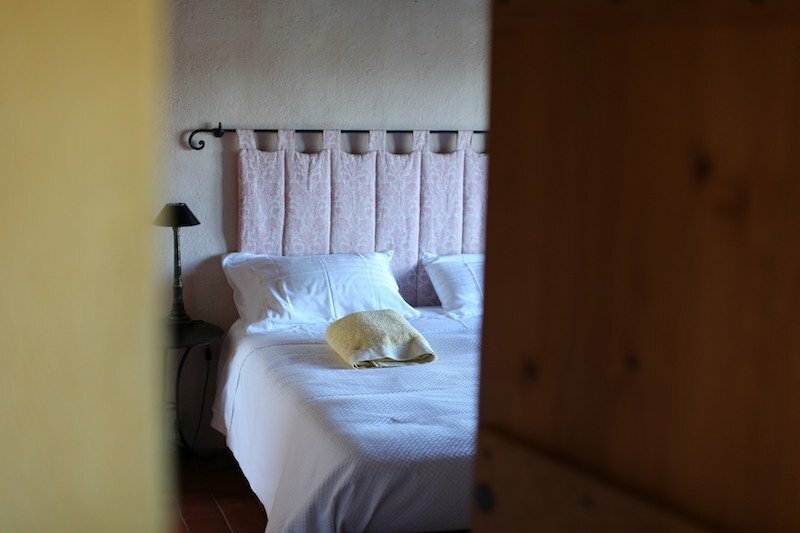 Private Twin Room for 2 guests with private ensuite bathroom, with shower or bath and toilet. 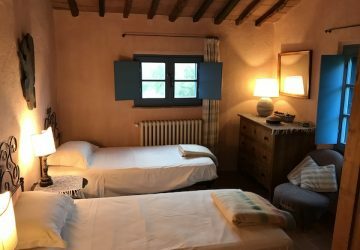 Private Twin Room for 2 guests with shared bathroom (Guests in twin room will share bathroom with one other person). Our triple room is located on the ground floor of the main property, and offers 3 single beds with a shared bathroom. A $500 deposit is required to reserve your spot with the remaining balance due 90 days prior to the retreat. 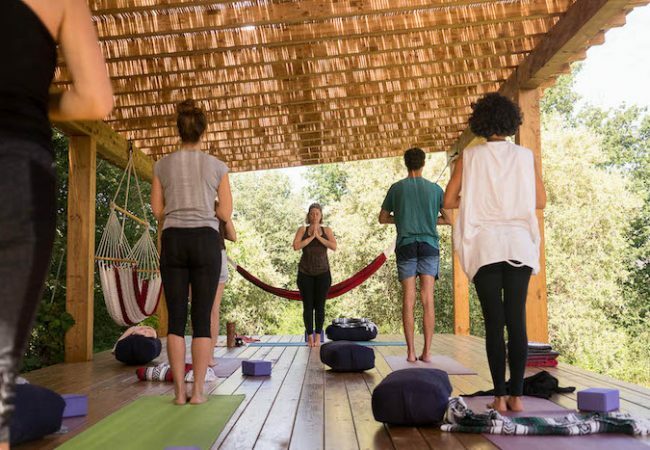 If your booking is made within 90 days of the retreat, full payment is required at the time of booking. Don’t hesitate to ask for travel advice! 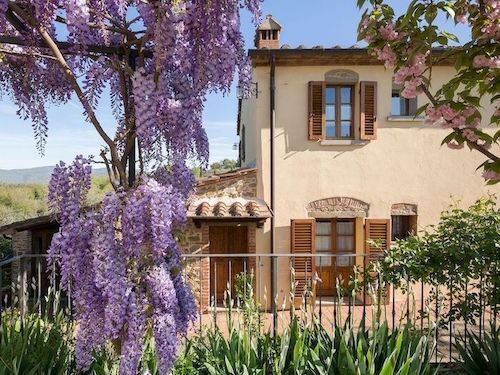 For those who want to add-on a few nights in Florence (highly recommended) before or after their Yoga and Wine retreat, we have teamed up with a beautiful wellness hotel in the city centre: Firenze Number Nine. As a complementary service, we can take care of your hotel booking at Firenze Number Nine.